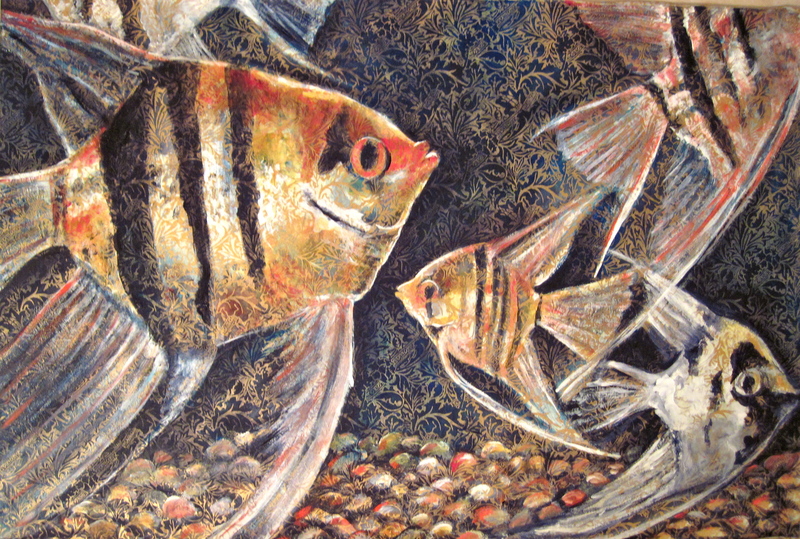 Today, I focused on my newest painting of angel fish. I’ve been wanting to do this one for a while. As I was painting the gravel, my mind wandered to when I was in 1st grade working on the set for my class’s marionette puppet show. We needed a castle and my teacher asked me if I knew how to draw/paint cobblestone. I had never painted cobblestone, but I thought about it and decided to draw random circular shapes all over the castle and bam: cobblestone! This reminded me a lot of that. Today, I had lots of help from my Minnie baby, who kept scratching on my leg asking for me to hold her. Luckily she is pretty much the tiniest dog on the planet so I was able to work with her in my lap. I may make some small changes, but as of right now here is my painting. Feel free to leave comments! 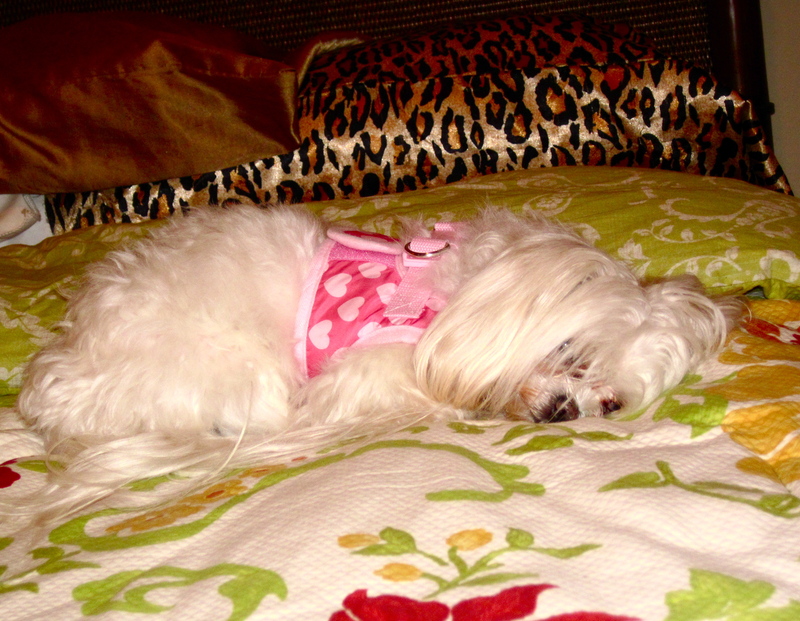 By the way, after a long day of painting, Minnie is EXHAUSTED! What a rough life! I love this painting!!! John and I want to buy some of your artwork for our walls…Is this possible? Also, your angelfish with the swollen lips probably had Lip Fibroma. Yeah, I’m a loser.